When you think about lunch, for most people sandwiches are the first thing that come to mind. Sandwiches have become a staple on the standard american diet, and let’s face it, they are a quick and easy lunch option. So what do you do when you are trying to cut the carbs? , Having alternatives is a must on the ketogenic diet, and sometimes you just have to get creative. These little low carb tuna melts on zucchini are just the Perfect thing to switch things up and get your sandwich fix. Simple and easy, this is a great addition to your weekly meal prep or a an easy appetizer to whip up. 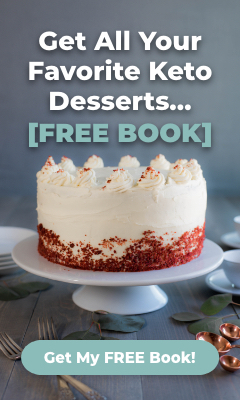 You will enjoy every bite of this recipe! <h4><p style="color: rgba(20, 117, 135, 1)">Why You Should Be Eating More Tuna...</p></h4> Canned tuna is a good source of essential nutrients, such as omega-3 fatty acids, high quality protein, selenium and Vitamin D. Most tuna species have approximately 1 to a maximum of 5 grams of fat per 100 gram (3.5 ounce) portion and less than 50 milligrams of cholesterol and sodium. Tuna also provides an important dietary source of the long-chain omega-3 fatty acids needed for good heart health, brain function and normal growth and development. Albacore and bluefin tuna have the highest levels of omega-3 fatty acids followed by skipjack and yellowfin. <h4><p style="color: rgba(20, 117, 135, 1)">Avocado Mayo</p></h4> Yes, Avocado Mayo is a thing, and yes, it’s delicious! Thick, creamy, and so flavorful, you might actually just mistake it for plain old mayonnaise but in fact it is much better for you! Avocado oil is filled with what are considered good, healthy fats (the monounsaturated ones). Due to using avocado oil instead of traditional oils such as safflower and canola you get the added nutritional benefits being high in oleic acid, high in lutein, and vitamin E. <h4><p style="color: rgba(20, 117, 135, 1)">Keto Tuna Melt on Zucchini</p></h4> <h5>Prep Time: 10 minutes | Cook Time: 30 minutes | Serves: 2<h5> <h5><p style="color: rgba(20, 117, 135, 1)">Ingredients:</p></h5> * 2 - 2.6 oz tuna in water pouches * 3 tablespoons avocado oil mayo * 2-3 medium zucchini * 1 celery stalk * 2 green onions * ½ cup shredded cheddar cheese * salt & pepper to taste <h5><p style="color: rgba(20, 117, 135, 1)">Instructions:</p></h5> 1. Preheat the oven to 400 degrees. 2. Scoop the flesh from the inside of the zucchini halves. 3. Combine the tuna, mayo, chopped celery and green onion and add salt & pepper to taste. 4. Fill each zucchini half with tuna. 5. Top with shredded cheese. 6. 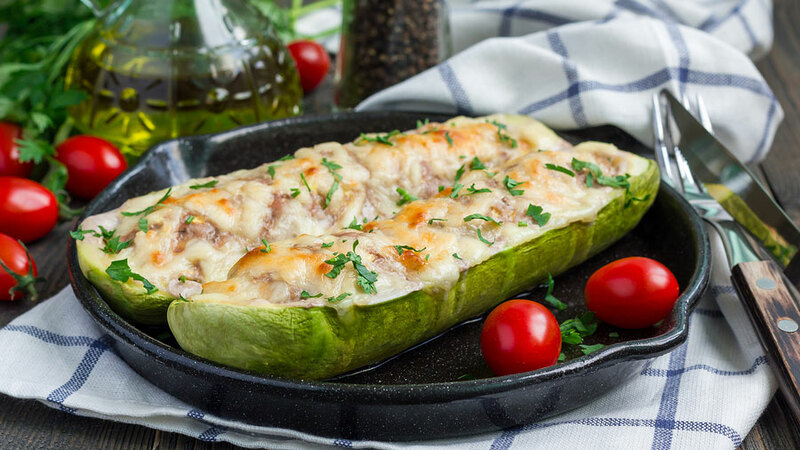 Bake for 18-20 minutes or until the zucchini is tender and the cheese is melted. 7. Remove from the oven and serve warm.